With an estimated six million people around the world watching the recent webcast of the Nike Lowers Pro ASP Prime surf contest daily at Lower Trestles last week, the eyes of the surfing world were literally on Trestles. 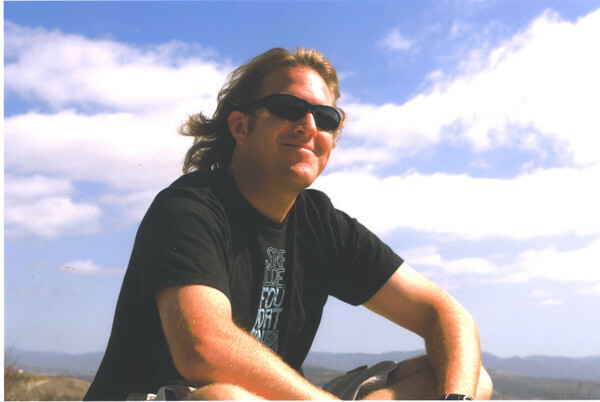 Mark Rauscher, Preservation Manager for the Surfrider Foundation has been on the frontlines of the effort to “Save Trestles” for more than seven years. I caught up with him while the Nike Lowers Pro was underway. Patch: Last year you and and I shared an epic session at Uppers on the first swell of the season and it was pretty obvious that you just love the place. 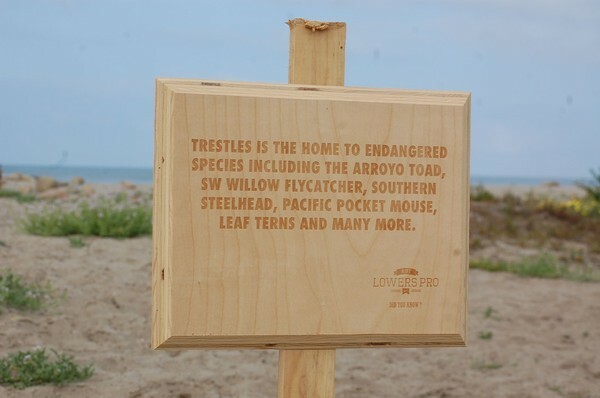 What makes Trestles and the entire San Onofre State Beach complex so special? Mark Rauscher: That was a great swell! What’s so amazing about the Trestles area is that there are so many high-quality surf spots in such a small area. Whether you want to rip it up at Lowers, get long lined-up waves at Uppers, Cottons or Church, or even cruise on your longboard at Old Man’s, there’s a wave inside the state beach for everyone. The natural beach and clean water only add value to this treasure we have in the middle of crowded, urbanized Southern California. Patch: I know that Trestles is famed for its surf, but for me and others, walking the trail along San Mateo Creek is an integral part of the Trestles experience. What is so unique about the San Mateo Creek watershed? Rauscher: It’s really great that you can take the trail down to the beach, leaving the parking lot and freeway behind and listening to the birds chirping. The natural creek and surrounding wetlands and woods really top off the experience of the place, letting you unwind and decompress as you make your way to the beach. Patch: What is it exactly that the TCA is proposing and how would that proposal impact the San Onofre State Beach and San Mateo Creek watershed? Rauscher: The TCA originally proposed extending a major toll highway from where it currently ends 16 miles inland to connect with I-5 at Trestles. This road would bisect the inland three-mile portion of San Onofre State Beach, paving over critical habitat for endangered species and running nearly on top of the San Mateo Campground. Right now most of the land around the San Mateo Creek is still undeveloped, helping to keep the water in the creek (and the surf) super clean. All of the pollution from the road would go into the creek, fouling the lineup. This project has been called one of the worst threats to the California coast in decades. Patch: Back in 2008, you and the Surfrider Foundation worked with the Save San Onofre Coalition to defeat the proposal by the TCA to build a toll road through San Mateo Creek watershed and San Onofre State Beach. That effort included a public meeting at the Del Mar Fairgounds, the largest in the history of the California Coastal Commission. Why did more than 6,000 people attend public meetings on the TCA toll road proposal? 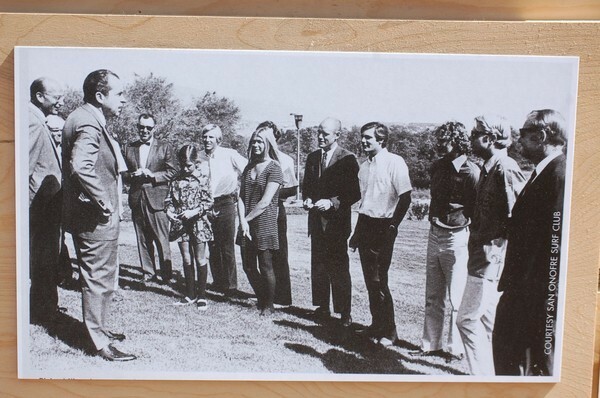 President Richard Nixon celebrating the establishment of San Onofre State Beach. 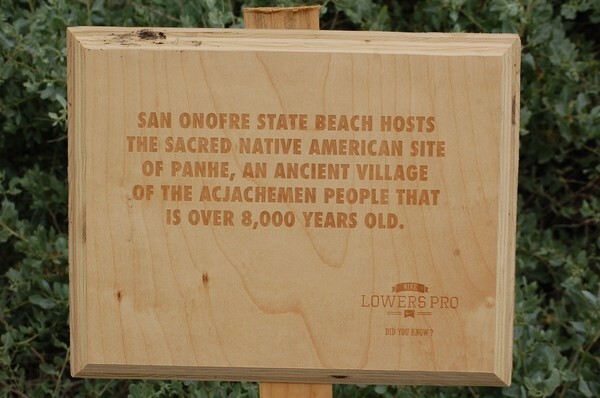 Rauscher: Clearly Trestles and San Onofre are hugely popular and treasured by many people throughout the state. We put in a huge effort to get the word out so that everyone in the region knew what was at risk and asked them to come speak out. I think that when decisions are being made that are so obviously out of sync with the public’s desires, they get angry and want to have their voices heard. We’ve seen that a lot in the last few years with the Occupy movement and the Arab Spring. In this case the massive turnout and outcry was critically important to getting the decision we wanted. Patch: Trestles is arguably ground zero for modern professional surfing and surf culture. On any given day there are surfers from all over Southern California, the United State and often from abroad surfing Trestles. What was the role of the surf industry and pro surfers in helping to defeat the toll road proposal? Rauscher: The industry did a great job helping us get the word out to rally the troops. Between the magazines writing articles and promoting on their website, to a few companies closing their offices to bus in their employees, we had tons of support. Patch: Was it just surfers who opposed the toll road project or were there other groups involved too? Rauscher: We had a bunch of great partners, each of whom brought their own strengths to bear. Attorneys, policy experts, wildlife scientists, water quality specialists, outdoor advocates, Native Americans and of course lots of surfers all came together to fight this horrible project. It was truly inspiring to get to work with such a great group of people. Patch: Surfrider has carried out research on the economic impact of Trestles on businesses in San Clemente—how much do surfers who use Trestles put into the local economy of San Clemente? Rauscher: The waves at Trestles attract surfers from throughout Southern California who contribute to San Clemente’s local economy by spending money in town when they visit. They buy gas, eat at local restaurants, and shop in local stores. The state park keeps careful counts of visitation at Trestles and estimates that over 300,000 surfers visit Trestles each year. 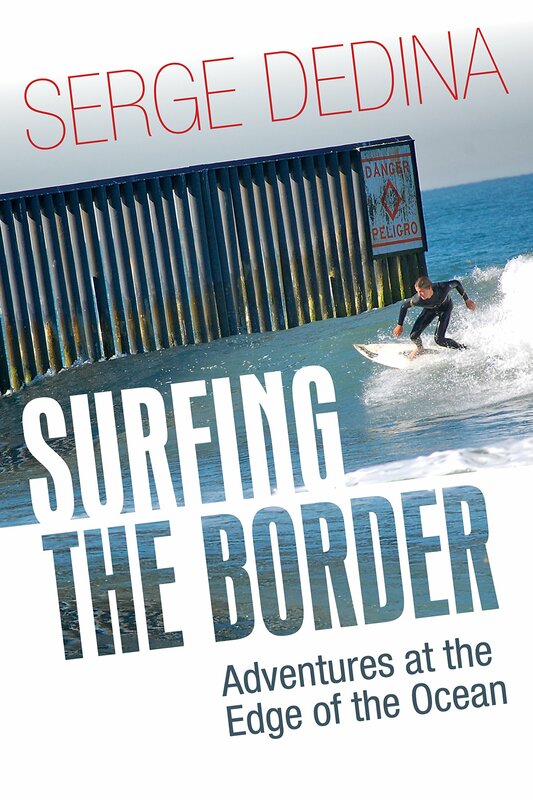 Based on a study by Dr. Chad Nelsen, we know that 83 percent of the surfers visit Trestles come from outside the city of San Clemente and contribute between 8 and 13 million dollars a year to the local economy. These surfers have a lot of choices about where to surf but they are drawn to Trestles for the natural setting and the high quality waves. 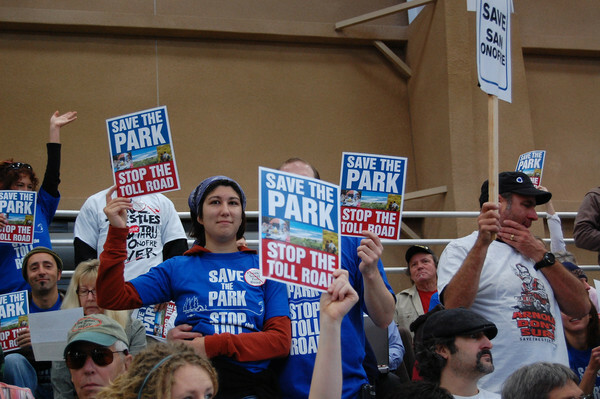 Patch: Like me, most of the general public assumed that the TCA’s toll road proposal was dead. So what is the status of the project now? Rauscher: The TCA has been back at the drawing board for the last couple years. Their latest plan is to get started and build the first five miles of the road, the section that is furthest from the beach. Unfortunately they still say this is just the beginning and they plan to connect it the rest of the way to I-5 in the future. We’ll know more about the specifics of this plan in the fall when they release more details. Patch: How can the TCA expect to reverse such an overwhelming defeat in the court of public opinion and by the Coastal Commission and a rejection by the Department of Commerce during the final days of the Bush administration? Is the TCA trying to exempt itself from Coastal Commission oversight? Rauscher: In order to build the road all the way to Trestles they would definitely have to overcome a lot of resistance the Coastal Commission and U.S. Department of Commerce. Both of those agencies made it very clear that their road would violate multiple laws, not to mention destroy a large portion of the state park. Of course the TCA has a lot of resources and highly paid attorneys so we’re definitely watching them closely. Patch: What motivates you to continue your efforts to “Save Trestles” and other surf breaks around the country? Rauscher: Surf spots are limited resources and they all need to be treasured and protected. A perfect wave is a very special thing and when you find one you want to hang on to it. Each of us has our own favorite break and it’s up to us to watch out for it. When threats arise we must speak out.